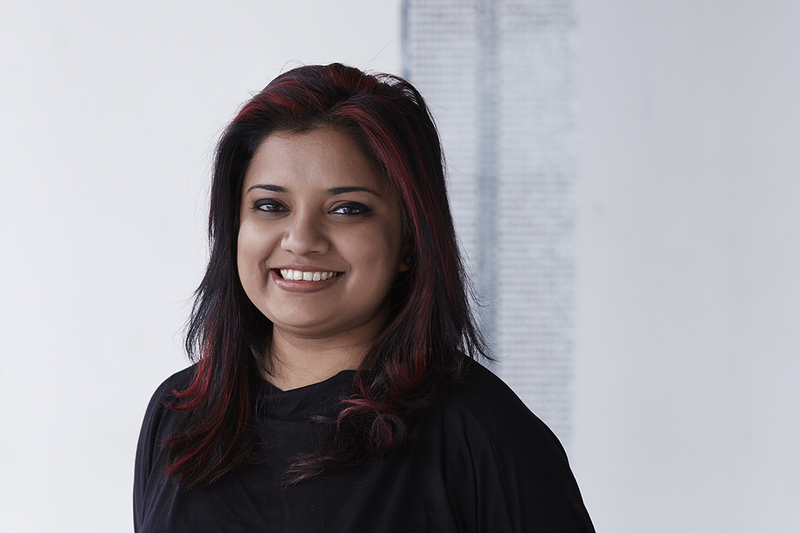 Ruvini Jayasekara is a Sri Lankan fashion designer who explores design through experimentation, developing techniques that affect and enhance garment’s materiality and construction. Wanting to broaden her exposure she undertook RMIT’s Master of Fashion (Design). Six years of industry experience and three years of teaching design has informed her research throughout the Masters project and beyond. In Ruvini’s practice, materials and garments are enhanced through pleats, folds, fused cardboard structures, anchored and cascading configurations, alongside metal wires and beaded details. The series of garments explores the movement of the body, while intensifying the structural effects through contrasting monochrome and multi-coloured graphics.